Intellectual property (IP) is now considered one of the key factors in national commercial, educational, cultural exchange and cooperation. This is even classified as the most important possession of any startup business around the world. Yet, there is a fact in Vietnam that most startup people do not pay sufficient attention to IP registration. Mr. Phan Ngan Son, Deputy Director of the National Office of Intellectual Property of Vietnam (NOIP) under the Ministry of Science and Technology, said that the role of IP is increasingly important in the social-economic development of a nation. IP’s value could be much larger than that of tangible assets. Therefore, its right protection and exploitation contribute a huge part to the position boost of any enterprise domestically and internationally. Sadly, in Vietnam, where startup activities become more and more popular, most of these people only care for capital attraction, business establishment, but not for IP registration. At the moment, around 80 percent of startup businesses do not fully appreciate the value of IP, nor are they aware of brand name management. As a result, they become vulnerable when facing dispute or litigation. Obviously, a propaganda on raising the awareness of business leaders or even the whole public about IP should be launched to amend this situation. Research from NOIP shows that only a few universities in Vietnam pay attention to IP and design a corresponding curriculum for their students, yet even these lessons cannot satisfactorily transfer knowledge on IP right registration, exploitation, and respect. One adverse impact could be a serious damage to any business if it is threatened with litigation on IP after its trading ideas have been firmly formed and developed. Worse, those ideas might be totally erased, leading to regrettable failures that should have been avoided in advance. Lately, the Ministry of Science and Technology has run certain projects to intensively train people, including students and startup people, on IP. Mr. Nguyen Thanh Binh, Head of the Center for Research, Training, and Support under NOIP, shared that the program to develop IP from 2016 – 2020 has been launched actively to foster innovation and development regarding Vietnamese IP. Until now, the center has received 147 orders ranging from training sessions, construction of management and administration models for IP to improve application performance, and information search packages to serve businesses in need. Deputy Minister of Science and Technology Pham Cong Tac stated that his ministry and related units are focusing on encouraging industrial property right protection, developing and exploiting IP to serve the social-economic growth as well as globalization. In particular, the national innovative startup ecosystem should closely cooperate with its counterparts in the region and the world regarding IP issues. 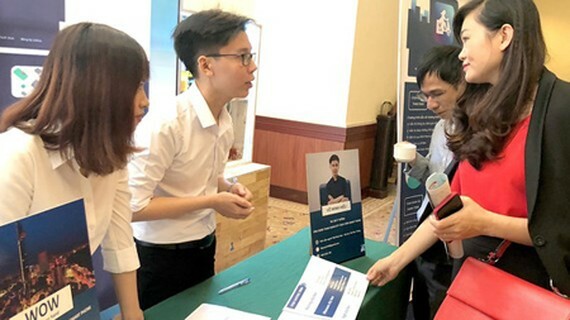 In the industrial forum ‘Biological Compounds from the Nature in Vietnam: Potential and Application’, held recently in Hanoi by the Vietnam – Korea Institute of Science and Technology (VKIST), many speakers insisted on the importance of IP right protection before publishing the article. That was a valuable lesson for Associate Professor Dr. 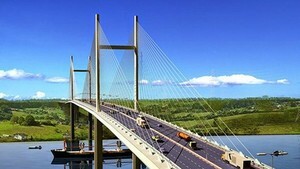 Le Mai Huong and partners, who are researchers of this topic. They had once published a scientific article globally and it was used widely when their products were still not launched on the market yet.